This Caol Ila is a 15yo official bottling named Bulloch Lade Decanter. It was bottled in the early 1980´s which means the content of the golden ceramic Decanter was distilled in the late 1960´s. 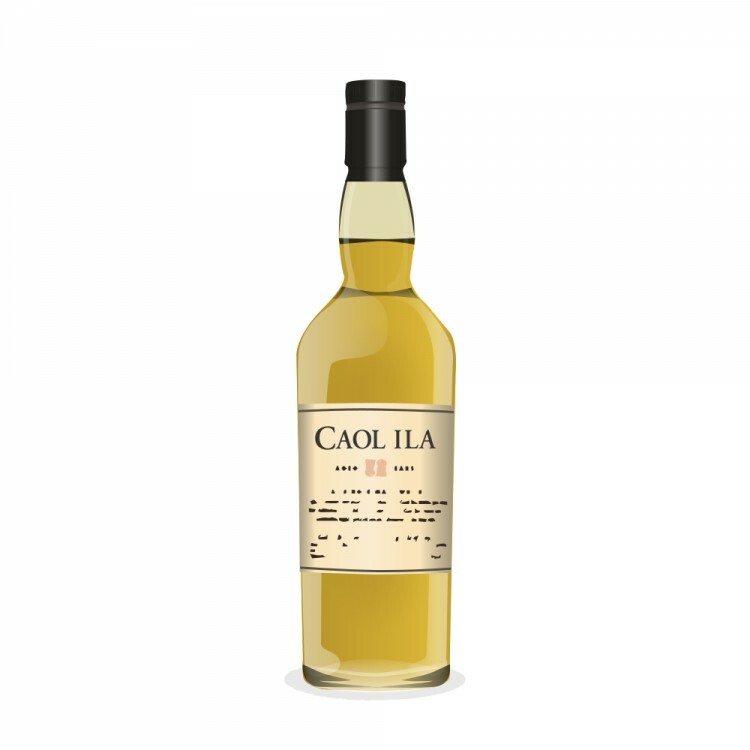 The name goes back to the Company Bulloch Lade & Co. which was owned by the Distillery between 1863 and 1920.
nose: earthy, sweet peat and salted almonds. melted butter with fresh pink grapefruit and orange oil. Some baked sour apple with hints of marzipan, green walnuts and whitewine. Nice smoke connects all the aromas as it develops over a period of more than 20 minutes in the glass. Black Pepper, soft dried apricots, parsley and some animal and salty aromas like room-temperature serrano ham. Old Barley sweetness with honey and hints of wet basement walls. palate: immediately present despite the low strength of 43% ABV. starting tighter and concentrated with watered down white wine vinegar, black pepper and light smoke. Baked apple with lemon pith, marzipan and bitter notes of frisee and radiccio salad. Leather, marzipan, yellow fruits and dark tea. Some Oysterwater. Great Mouthfeel. 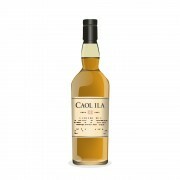 finish: very long and complex finish - the salty yellow fruits linger in the mouth. Peat and smoke deep down the throat. after ten minutes there is still a hint of dry peat in the mouth. This is a special whisky - it has rested for about 30 years in the gold plated Decanter before it has been opened and it is amazing Whisky - vibrant and full of flavors which are different to most of the flavors found in current releases. Why is this - I see two main factors. First it is the Barley and the Production methods - today they use high performance Barley with a higher yield so they gain more whisky but not as much and different aromas than the older varieties of barley used in the 1960´s. Second factor is the resting and secondary maturation in the bottle which gives the Spirit time to develop more Complexity and Inner Balance. It was a real joy to share this with friends and an outstanding example of an old and vibrant Islay from along gone era.